Our award-winning team create space that help businesses succeed. Combining the strength of a national contractor with the skills of a highly experienced design and fit-out team and completing one-off projects up to £80 million in value. The main role of a Project Surveyor at Willmott Dixon is to provide commercial support to senior surveying staff on one or a number of projects to ensure that projects are procured, delivered within budget and to the highest quality whilst exceeding our customers’ expectations. You will be responsible for the delivery of the project to meet its financial targets. You need to demonstrate good working knowledge of contract conditions, procurement of packages, demonstrate the management of project risks and ability to foster productive relationships and can thrive in a fast paced environment. You will be accurately valuing, certifying and issuing any relevant payment notices for the subcontract works in accordance with the conditions of their subcontract. Ensure that external valuations are submitted in accordance with conditions of the main contract and that payments are received by the due date. Complete CVC reports, ensuring they accurately reflect the current position on site and the final profit projection. We strive to build and establish excellent working relationships with our supply chain, consultants and clients where appropriate, this will enable you to identify any potential disputes in a timely manner to your line manager and then implement effective resolutions. You will work closely with the project team and senior commercial staff to achieve or exceed budgeted targets for your project. In return we provide you with a competitive salary, comprehensive benefits package, the opportunities for you to develop your career with Willmott Dixon and the training to make this happen - but most importantly a great place to work with a true family ethos! As the specialist interiors arm of the Willmott Dixon Group we are currently involved in some major projects with individual values to circa £80m. These include some major refurbishment to listed and landmark buildings, flagship stores for luxury brands, and educational & medical institutions. We have a very strong pipeline of interesting work for 2019 and beyond - and have just opened our new offering to the West Midlands. This is an exciting time to be joining something big from the start! A base understanding of contract law. Reading and accurately interpreting drawings and specifications. Respond positively and with resilience to setbacks. Willmott Dixon, for the past four years has been the highest privately owned Construction and Development Company in the prestigious Sunday Times best companies to work for list. We offer a competitive salary in addition to a comprehensive benefits package* including a company pension scheme, life assurance, discounted private medical cover, incentive/bonus schemes, employee trade discounts, and many more. We offer you a bright future, one where you will have the opportunity to develop your career with a fast moving, forward thinking company, who recognize and reward your achievements. * Benefits may vary dependent upon the role and type of employment contract. We are very pleased to be recruiting a Assistant Build (Site) Manager to join our brand new offering in the West Midlands based from our Central Birmingham office at Two Snow Hill. 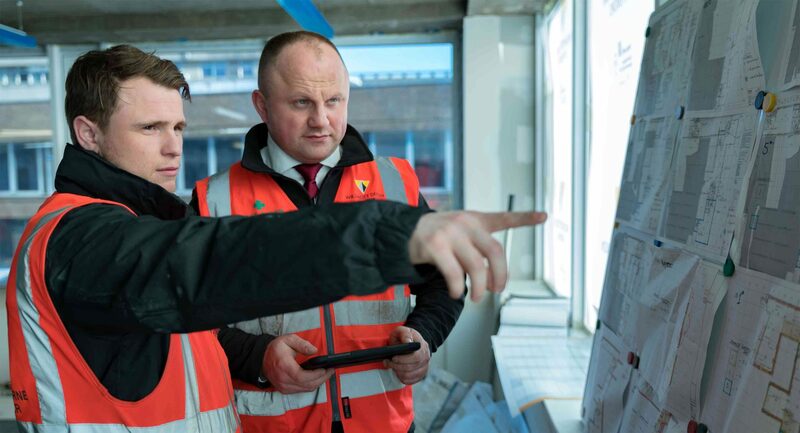 Candidates should ideally be able to support the Senior / Building Manager to deliver projects safely, on time, within budget and to the highest quality whilst exceeding our customers’ expectations. The main role of an Assistant Building Manager at Willmott Dixon is to ensure delivery of a quality build in accordance with the project specifications and project requirements. In addition, the role will monitor and control operations to achieve agreed programme. It will also monitor the works and supply chain to ensure provision of the right working environment to avoid disruption between trades. All this whilst understanding the client priorities and adopt a professional and considerate approach to maintaining good working relations! You will adopt the principles of the Considerate Constructors’ Scheme and manage community relations to ensure that the appropriate site image is maintained to encourage repeat business. Maintaining the company’s sustainability objectives you will undertake the works in the most economic manner to eliminate waste and avoid non recoverable costs and preliminaries losses. In return we provide to you a competitive salary, comprehensive benefits package, the opportunities for you to develop your career with Willmott Dixon and the training to make this happen - but most importantly a great place to work with a true family ethos! As the specialist interiors arm of the Willmott Dixon Group we are currently involved in some major projects with individual values to circa £55m. These include some major refurbishment to listed and landmark buildings, flagship stores for luxury brands, and educational & medical institutions. We have a very strong pipeline of interesting work for 2019 and beyond - and have just opened our new offering to the West Midlands. This is an exciting time to be joining something big from the start! Constructively challenge the status quo and seek better alternatives. Willmott Dixon has very recently been awarded 4th place in the Sunday Times Best Companies Top 100 to work for and is the first major contractor and developer to win a Queen’s Award for Enterprise in the category of sustainable development. We have also been recognised for outstanding investment in communities with a CommunityMark from Business in the Community. We offer a competitive salary in addition to a comprehensive benefits package* including a company pension scheme, company car or car allowance, life assurance, discounted private medical cover, incentive/bonus schemes, employee trade discounts, and many more. We offer you a bright future, one where you will have the opportunity to develop your career with a fast moving, forward thinking company, who recognize and reward your achievements. We are very pleased to be recruiting a Senior Project Surveyor to join our team on a project in Leeds. Candidates should ideally be able to demonstrate experience working on projects in ranging from £5m - £20m. You will be responsible for the delivery of the project to meet its financial targets. You need to demonstrate good working knowledge of contract conditions, demonstrate the management of project risks, junior staff, ability to foster productive relationships and can thrive in a fast paced environment. We spread our risk and work within a number of key sectors including; commercial, medical, government and education and we would look for either specialists or a mix of sector experience. This project will involve the design and refurbishment of the existing office of Quarry House in Leeds and is valued around £8m. Good level of education to include 5 GCSEs at Grade C or above, A Levels. A high level of organisation and achieving deadlines. Maintaining technical knowledge and understanding. Providing feedback for new and effective systems and controls for the business. Positively reacting to change and assisting in its implementation in the business. A track record of successful procurement. Membership or working towards MCIOB or RICS. Understand people’s needs and motivations and adapt your personal style accordingly. We have just extended our offering to the West Midlands from our base office in Two Snow Hill in Central Birmingham. Willmott Dixon is currently looking to recruit a Technical (Building) Services Manager to join projects based in the West Midlands area. Candidates should ideally be able to to manage the preconstruction services team through the tender and design development period and to ensure the production of high quality information and accurate costs then monitor operations effectively ensuring the services are delivered to agreed plans, timescales and costs, whilst maintaining the highest quality standards. Willmott Dixon is the first major contractor and developer to win a Queen’s Award for Enterprise in the category of sustainable development. We have also been recognised for outstanding investment in communities with a CommunityMark from Business in the Community. Our award-winning team create space that helps businesses succeed. Combining the strength of a national contractor with the skills of a highly experienced design and fit-out team and completing one-off projects up to £55 million in value. As a Sales and Marketing Management Trainee you will be directly involved in marketing our business and identifying new opportunities. Your career is all about existing account management, finding new work and building relationships to help the business’ strategic growth. This will include representing the business to develop networks, attending or organising relevant events and accurately collecting, updating and analysing data to identify the local market and trends. The role will also involve supporting company-wide marketing initiatives and campaigns including; project marketing to ensure our projects are promoted effectively, social media engagement to help raise our profile, PR and content marketing to share good news stories, help to generate creative ideas and champion our brand both internally and externally. Sounds great, what are we looking for…? You will need to be a driven, fantastic communicator with the ability to work within a fast paced exciting environment, which is ever-changing to market demands. You will be a natural influencer, one that always challenges the norm to drive through creative solutions and has the commerciality to ensure we are maximizing our business portfolio at all times. We would love you to be customer focused and a team player just like us! Sound like you... If you are looking to accelerate in a business that nurtures its talent we would love to hear from you. Our management trainees come from diverse backgrounds and qualification routes. We welcome all applications from school, college, university, through building trades backgrounds or other relevant work experience. All that we ask is that you have a passion for building a career in construction! Depending on your level of education and experience will determine the length of your trainee programme- from 2 to 4 exciting years. A competitive salary and career of a lifetime with a company that will invest in YOU! The competence to work to highest standards in your chosen discipline. A strong understanding of business processes and industry IT systems. The ability to make decisions in a timely and appropriate manner. 12 months relevant work or industry experience. Working towards appropriate professional membership. The role will include supporting company-wide graphic design requirements and help the team to think creatively when delivering design briefs. This will include developing high quality and original designs for brand campaigns and publications; you may also be involved with our bid teams producing input into the look of bids and tenders for winning new work for our business. We are looking for a fantastic Graphic Designer to join us in a newly created role as in-house designer initially supporting our Sales and Marketing and HR teams with creative ideas and high quality and original designs for brand campaigns and publications. You may also be involved with our bid teams producing input into the look of bids and tenders for winning new work for our business. Great communication and the understanding of the importance of meeting deadlines and managing your time effectively are very important for this role as is attention to detail, excellence in layout and production of final product with tools including: Adobe Indesign, Microsoft applications, Prezi. The role will be varied and involve the creation of brochures, layout of newsletters, designing banners, posters, careers booklets, HR communications, exhibition panels, site hoarding, presentations and continuous development of branding. Willmott Dixon Interiors has a bustling Main Office centrally located on Farringdon St with great transport links. We feel it is a great place to work with a friendly buzz and an excellent working environment. We don’t expect you to be an expert in construction but some interest in Architecture or Construction may be helpful. We want to attract the best people in order to provide the highest quality service for our customers. The successful candidate will have qualifications in Graphic Design and have a good eye for design and creativity, strong communication skills (both written and verbal). Willmott Dixon Group is one of the UK’s largest privately-owned construction businesses. Willmott Dixon Interiors are the award winning specialist interior fit out and refurbishment arm of Willmott Dixon Group. Interiors have delivered some fantastic projects such as the iconic Design Museum, East Stand development of Twickenham Stadium and currently on site delivering UK’s first Nhow Hotel. The offices are centrally located on Farringdon Street, London with great transport links, with excellent working environment with a friendly buzz. We provide a working environment that makes people feel proud and happy to be at work. We make sure that our people have the training they need to be leaders in our industry and we are committed to helping our people achieve their full potential. A competitive salary, excellent benefits, opportunity for you to develop your career and reach your full potential but most importantly come and join a happy place to work and a company that prides itself on its family ethos. We are currently recruiting for People​ Administrator on a 16 month Fixed Term Contract to cover maternity leave within the People team. All offers, terms & conditions, leavers and changes are administered accurately and on time. Payroll for business area is accurate with minimal errors. HR Information is kept up to date and accurate with new starter and all employee changes information. Employee data is managed accurately and securely. Excellent data inputting skills and keen attention to detail. Some administration experience would be desirable. Team player, with lots of energy and enthusiasm. Aptitude for numbers, data, absorbing lots of information, willing to learn a lot and take on responsibility. A whizz at keeping information confidential and 100% discreet. Methodical, accurate and organised with a keen eye for detail. Being professional and pleasant at all times. Written communication skills to produce clear correspondence. We are very pleased to be recruiting a Build (Site) Manager to join our brand new offering in the West Midlands based from our Central Birmingham office at Two Snow Hill and the project workload in the surrounding area. Candidates will align themselves with our commitment to customer service, quality and our culture. You will be joining a supportive company that will develop your career and hope to offer you a career of a lifetime. To be considered as a Build Manager, you will be capable of running and delivering refurbishment projects of £8m plus. Reporting to the Construction/Operations Manager the ideal candidate will be able to lead the site management team and the supply chain to deliver the projects safely, on time, within budget and to the highest quality whilst exceeding our customers’ expectations. Implementation of project strategies in order to achieve the company’s sustainability objectives. The ability to establish and maintain standards of quality on site and ensure delivery of a quality build in accordance with the project specifications and requirements. Management of community relations and ensuring appropriate site image is maintained to encourage repeat business. The ability to produce and develop project programmes and control operations to achieve delivery of the project on time. Willmott Dixon has very recently been awarded 14th place in the Sunday Times Best Companies Top 100 to work for and is the first major contractor and developer to win a Queen’s Award for Enterprise in the category of sustainable development. We have also been recognised for outstanding investment in communities with a CommunityMark from Business in the Community. Willmott Dixon Interiors is currently looking to recruit a Senior Planner to join our team based from Farringdon providing robust planning support at pre-construction stages developing tender programmes for submission documents. You may be required to support our site operations teams as required too. As a Planner you will be delivering good quality logical programmes, associated work and ongoing monitoring for projects on site. You will have experience of identifying complex project issues early to reduce the impact on working programmes. You will work in conjunction with site teams, management teams and design teams to update programmes with feasible and workable resolutions. Assist with the production of short term programmes and add detail to existing programmes where required. Experience in the refurbishment and fit out sectors are essential, ideally having a good back ground in both, and across a wide range of project values. You will be instrumental in planning resources for projects in collaboration with the other members of the project as well as project resource requirements for future workloads. As the specialist interiors arm of the Willmott Dixon Group we are currently involved in some major projects with individual values to circa £55m. These include some major refurbishment to listed and landmark buildings, hotels, universities, flagship stores and offices. We have a very strong pipeline of interesting work for 2019 and beyond nationwide. We mitigate our risks and work within a number of key sectors including; commercial, medical, government, hospitality and education and we would look for either specialists or a mix of sector experience. You will be joining a friendly and supportive team and we hope to offer you a career of a lifetime. Applications for our Welcome back programme close on Monday 20th May 2019. If you have any questions on the Willmott Dixon Welcome Back programme, feel free to contact the Willmott Dixon recruitment team at careers@willmottdixon.co.uk, stating ‘Welcome Back Query’ in the title. Willmott Dixon Interiors embraces diversity in the workplace. We have a Welcome Back Programme which supports talented people who have taken a career break of 1 year or more and are now looking to return to work. Alternatively, this programme could suit someone who started out, or qualified, in a construction-related field but took a different career path and would now like to return to a role within construction. This is a 20-week programme where you will be placed on a project or in a team within Willmott Dixon Interiors where your skills and experience will be valued and utilised and in some cases brought up to speed with industry developments where appropriate. 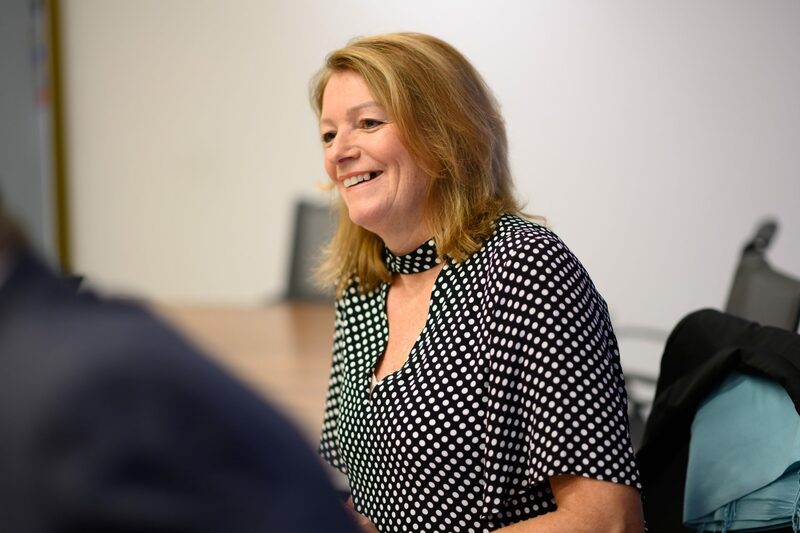 During the programme you will participate in coaching workshops and will benefit from a comprehensive induction process and focused training to support you. Starting in September 2019, this programme offers a paid placement of 20 weeks, and the possibility of a permanent role at the end. Interviews will take place in June with a view to offers being made in July to successful candidates. Flexible working will be considered for all our Welcome Back opportunities. Based in Farringdon, London and with a diverse and wide ranging mix of expertise and experience, Willmott Dixon Interiors deliver nationwide projects across the Commercial, Hotel, Leisure, Retail, Education and Health sectors. No matter the scope or scale of the project, our people are the best in the business and have the specialist knowledge required to rise to any project challenges that may come their way. From structural refurbishments, to heritage buildings, or projects below £2million, we have the right people to deliver a project we can all feel truly proud of. Highly collaborative people who are passionate about delivering a quality service to customers and ultimately help to grow the business. Excellent communication skills and the ability to build effective relationships. Candidates may have a background within construction related roles, but this is not essential. More importantly we are looking for people who share our passion and values, so if you think this is you and you have transferable skills from another industry sector, we would welcome your application.